Attraction highlighting: tourist path - "Rudohorská magistrála"
The village Ľubietová is place about 20 km eastward from Banská Bystrica. The peak of a local rock massif – Hrb is considered to be the geographical center of Slovakia. The village's population is 997 inhabitants. 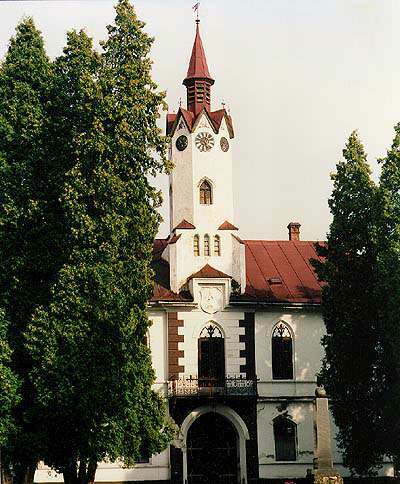 The king Ľudovít Veľký has given the privilege of a free royal town to the village in the year 1379. This assigned the village into the association of seven royal mining towns. In spite of that the time of its expansion, when gold, silver, copper and then iron was mined is long gone the town is gradually progressing even today. The cause of this is mainly its advantageous location near to the district town in the mountains. Various monuments capture the visitors' attention. For instance, it is the house of Maria Terezia, in which this monarch spent a night on her way through this region before her coronation. The building of the local “City Hall” has been built on the foundation of a previous building from the 14th century. Though it has been repeatedly reconstructed. 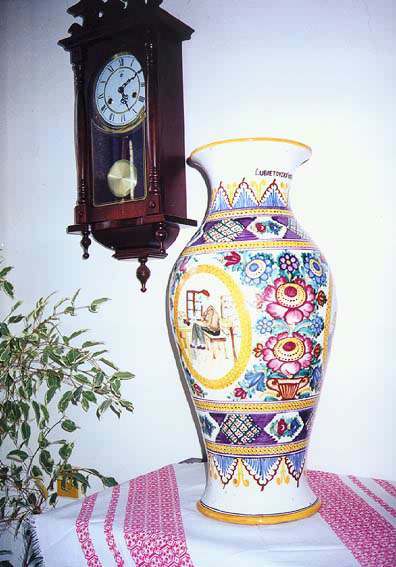 Typical ceramics products from Ľubietová are decorated vases. Production of ceramics has a strong tradition. “Debnársky tanec” – is a unique folklore dance, which survives thanks to the local folklore dance group Debnári. “Rudohorská magistrála” is an attractive marked path crossing the village cadastre through ridges of Vepor and Hrb mounts. There is a cycling route going across Poľana to near spa Brusno and again back to Detva. A bicycle rental is in the village for people who do not keep their bicycles with them. 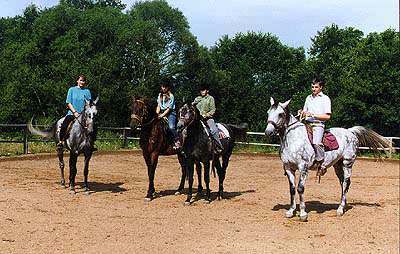 Another possibility is visiting a local horse riding school before seeing the country from the perspective of a horse back. The training includes hypnotherapy. Visitors can see the traditional sheep breeding in sheepfolds and sheep cheese and smoke sheep cheese. A mineral named Libethenit – it has taken the German name of the village Ľubietová – can be found by lucky visitors who happen to wander to the locality of former mines.